Learn how to improve your vocal confidence, technical skills, resolve voice problems and develop your personal style. 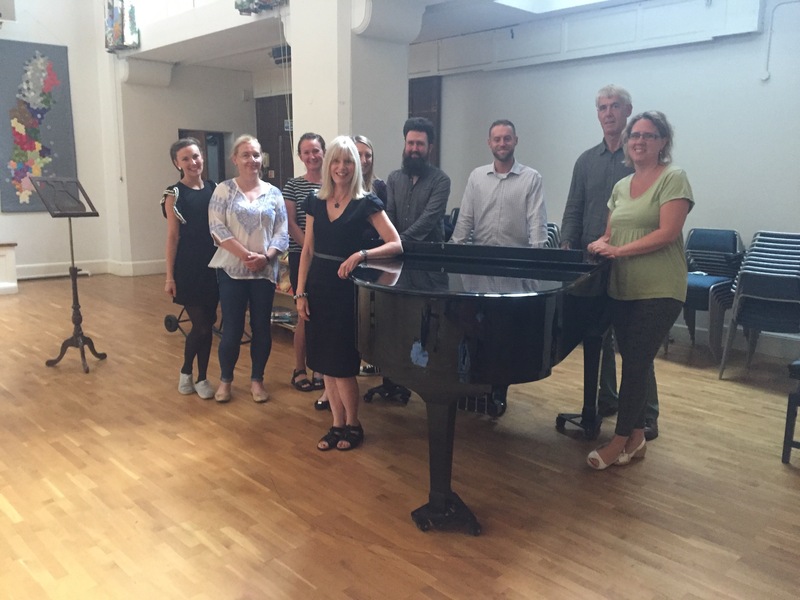 In a relaxed environment, Maria Rivington (MMus, BA Hons) – a vastly experienced Voice Coach/Singing Teacher and active cross-genre singer - will help you develop your vocal abilities organically and grow musically, making sure you realise the full potential of your voice and your performance skills. Quality of Tone, Placing & Projection - minimise tension & develop a natural, rich vocal quality, maximising natural resonance and reaching "the back of the room"
Vocal Problems - address voice-loss, hoarseness, nodules, fatigue and learn to manage & prevent voice problems from developing. Repertoire Selection - with a wide knowledge of Opera, Art Song, Choral music, Musical Theatre, Pop/Jazz/Gospel/Rn'B, Rock/Country & Folk, Maria can guide you to the songs that your voice and personal taste is most suited to. Phrasing, Interpretation & Personal Style - equally familiar with classical techniques, belting & mixing for Musical Theatre and CCM/Popular Music, Maria will help you make each song "your own" in keeping with each genre's particular style. Performance Skills - address & overcome stage fright, build audience communication, work on posture/body language and microphone technique. Musicianship - become musically confident by understanding music theory e.g. chord structures and notated music, learn sight-reading etc. After an initial assessment lesson where I listen to your voice to establish a technical development path, we discuss your aims and concerns and set goals together. Subsequent sessions are a mix of vocal exercises - specifically tailored to your technical development needs and learninga are then applied when we work on songs. The song selection will depend on the singer's preference of style but the aim is always to improve the quality of the voice and delivery. If you are also looking to develop your musicianship and especially if you are preparing for a grade or diploma, your lesson will also include an element of music theory. Generally, working with songs also involves understanding all elements of it; a character's motivations and intentions in an aria or musical theatre piece, the origin or context of a piece and it's creator and the emotion you want to convey. We will also ensure words in other languages are correctly pronounced and texts are completely understood - this understanding combined with increased technical ability will make your singing truly impactful and so much more enjoyable for you. If you are already performing or auditioning for work, you may want to focus mainly on the performance side of your songs alone - you are more than welcome to. Vocal difficulties e.g. hoarseness, vocal fatigue, difficulty with tone control and pitch, range diminishing etc. either from trauma and over-use, unsound vocal technique or from bad habits developing gradally over time, can cause a great deal of concern. The ageing process of the voice can also cause confidence issues. As a member of BVA (British Voice Association) I have a good understanding of how Speech & Language Therapists work, and can diagnose and judge the cause and extent of your problems. Following an assessment, I can suggest a number of exercises suited to your individual issues and will advise you on preventative measures putting you on the path to vocal recovery and improvement. I can also refer you to other specialists if necessary. Lessons fees start from £37.50 per 60 minutes and the Rivington Voice teaching studio is located a 5 minute walk from Sydenham station (SE26), served by London Overground from Canada Water (Jubilee interchange), Whitechapel (Circle & District) and direct BR services from London Bridge, Victoria and Clapham Junction. I would highly recommend working with Maria to anyone looking to improve their musical skills and confidence levels. It has been of huge benefit for me. Maria has a tremendous effect on me personally and professionaly; enabling a sense of strength clarity & freedom in my voice I've never achived before. Maria is magic. Through her gudiance, teaching and unique intuition, the quality and stamina of my voice have improved enormously. I have had singing teachers before, but Maria is not just a teacher. What she offers is so much more and the freedom that I have now achieved within my vocal range is something that I will always be truly grateful to her for. 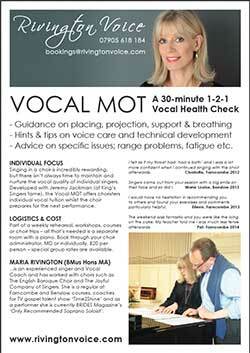 Maria's Vocal M.O.T.s add great value to our courses and we're always happy to have her with us. 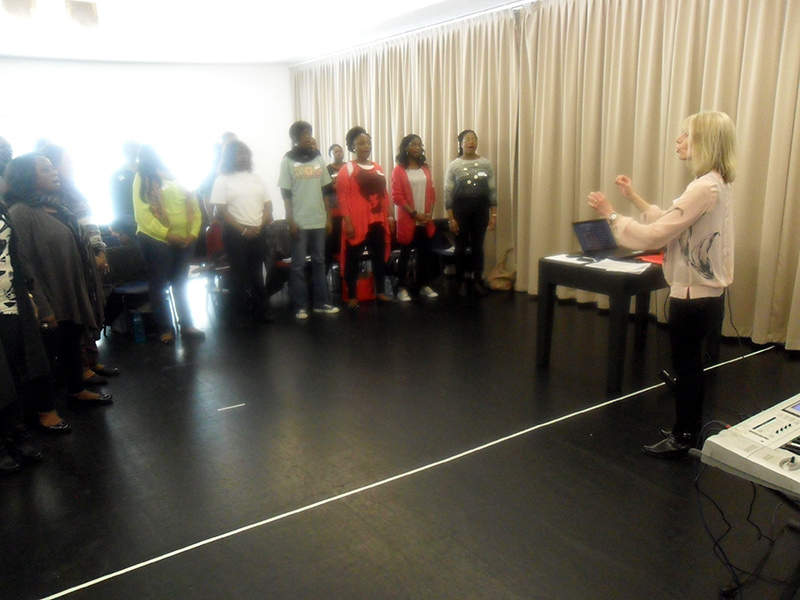 A classically trained singer and vocal teacher - BMus (performance) & MMus – Maria's teaching is influenced by the Bel Canto-, Accent- and Estill methods, practiced by established vocal teachers and singers throughout the world of classical singing, musical theatre, and popular music. She is a frequently hired classical & session singer, West End- and choral voice coach and has worked with TV Gospel talent show Time2Shine. Maria regularly teaches at Goldsmiths University's BA and MA courses, at Benslow Music course center, in choral- and Master Class workshops (in-house vocal consultant for The English Baroque Choir and for the Swedish Church) and is a sought-after West End and Music College auditions coach. She is a member of the British Voice Association and AOTOS - Association Of Teachers Of Singing. 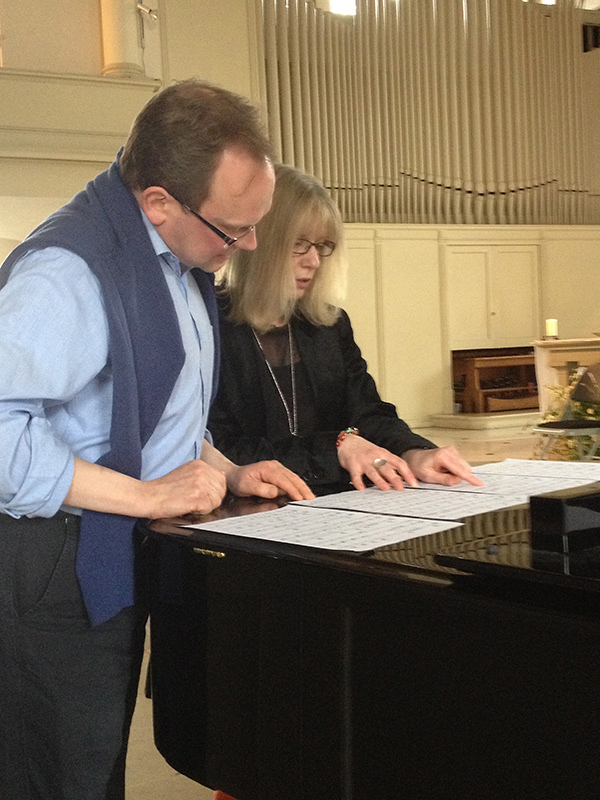 Many of her students can be heard on stages and concert halls around the UK and or are studying at e.g. 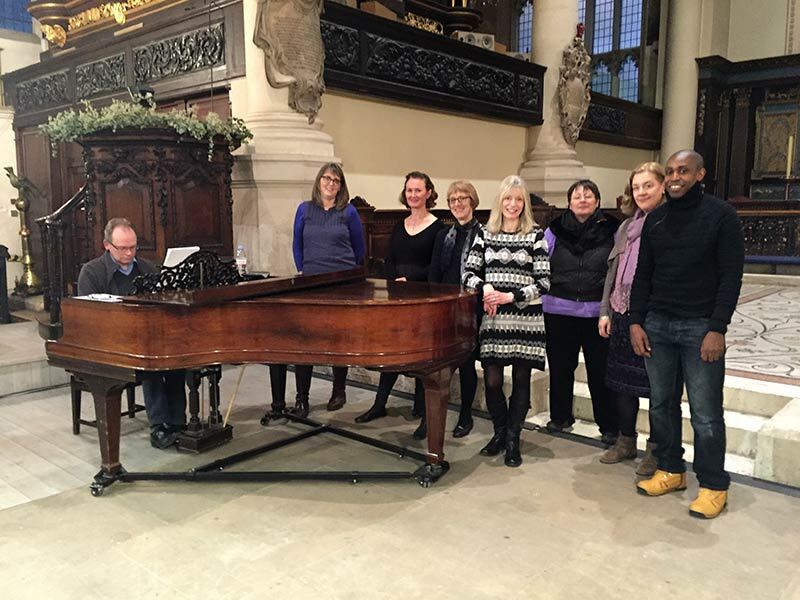 Goldsmiths University, The Royal Northen College of Music, URDANG, Millennium College, RADA and Central or sing in prestigious choirs like Philharmonia Choir, Royal Choral Society, Thomas Tallis Society, London City Choir, The English Baroque Choir etc. Developed with with Jeremy Jackman (of King's Singers fame), the Vocal M.O.T. is designed to enable choristers to have an individual, 1-2-1 singing lesson with a professional vocal coach whilst the choir prepares for the next concert. These 30-minute vocal health checks can take place during an evening rehearsal, a workshop weekend away, Singing Days, or on a choral course - all that's needed is a keyboard and a separate room. Singers and conductors are often aware of the need for attention to vocal technique, but most busy concert schedules won't allow it. The format of the Vocal M.O.T. gets around these constraints, supports and develops the individual singer and improves the overall sound of the choir. For several years Maria has been joining courses, rehearsals and workshops around the UK, most notably at Benslow Music and Farncombe Estate with Jeremy Jackman and Andrew Parnell (Musical Director of Ely Cathedral) among others. Even the most experienced chorister will over time want to ensure their vocal technique and voice production is healthy. The Vocal M.O.T. sessions will address any individual concerns the singer may have as well as giving general advise, hints & tips of how to maintain the voice and develop it further. Individual notes and a booklet of technical advise is emailed to each singer afterwards. Several times a year, Maria also offers her ambitious amateur pupils the opportunity to perform to each other with professional accompaniment in a central London venue. These are much appreciated events where everyone can learn from hearing what other singers are working on technically as well as musically - most singers return every time!